Lipomas in duodena wall are common. However, they get easily overlooked if an attention is not drawn to them e.g. by previous endoscopy, because they are small and bear no clinical significance. 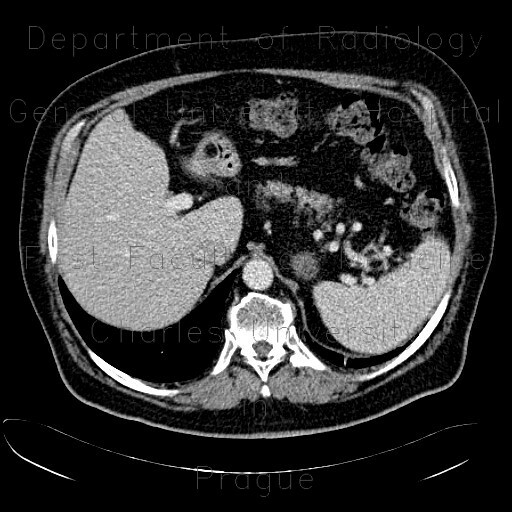 Similarly, in this patient, a small oval focus in the wall of the duodenal bulb of fat density can be hardly seen.